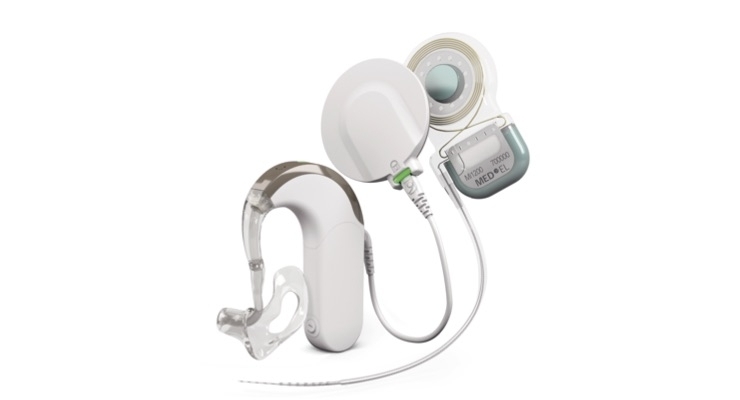 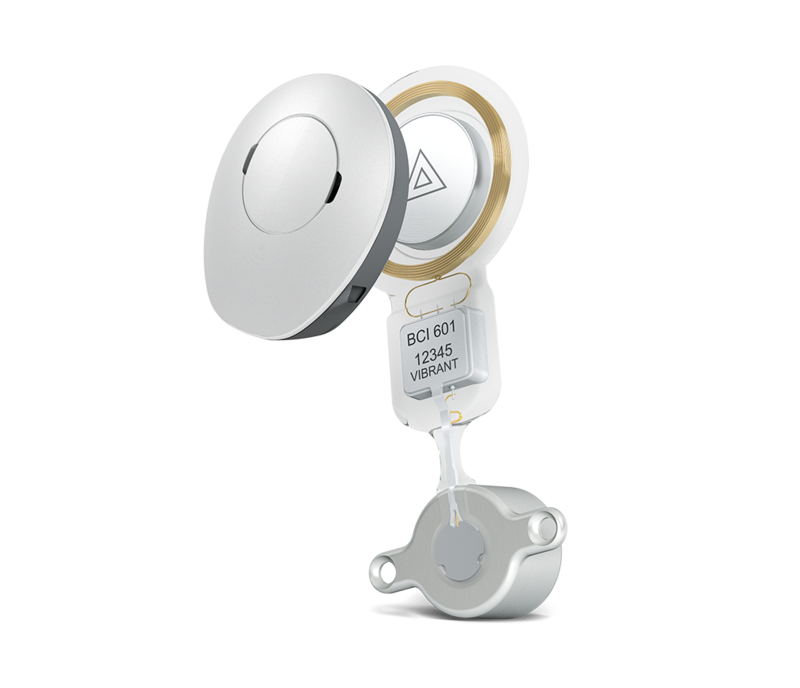 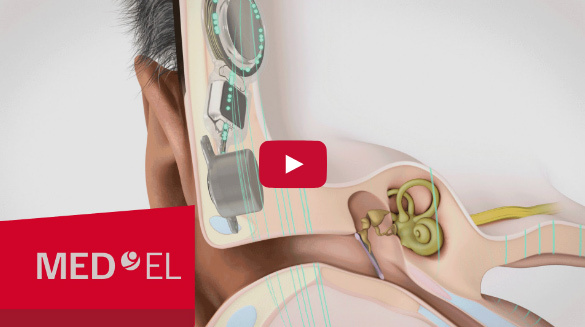 BONEBRIDGE is a partially implantable hearing system that consists of two major components namely an implant and an externally worn audio processor. 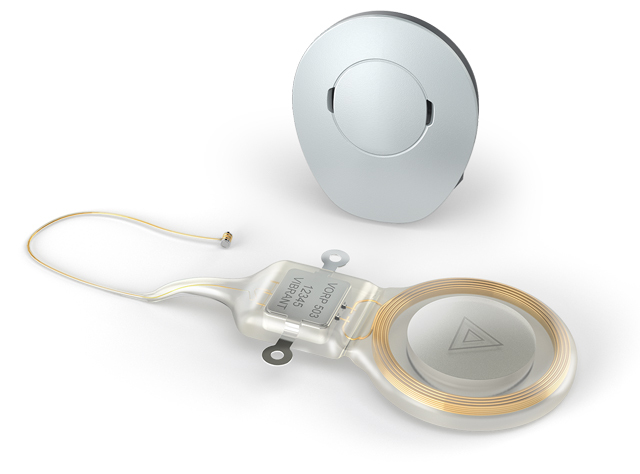 The implantable component, also called the Bone Conduction Implant (BCI) is the part that is surgically implanted and consists of a coil, a magnet that holds the audio processor in position over the implant, a demodulator and the high-performance Bone Conduction Floating Mass Transducer (BC-FMT). 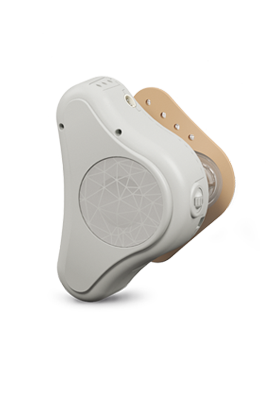 The external audio processor is worn on the outside of the skin and contains a battery, two microphones and a fully digital signal processor. 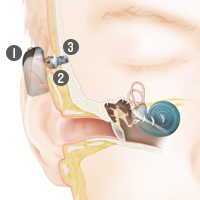 Acoustic signals are picked up by the audio processor and transferred to the BCI via an electromagnetic connection through the intact skin. 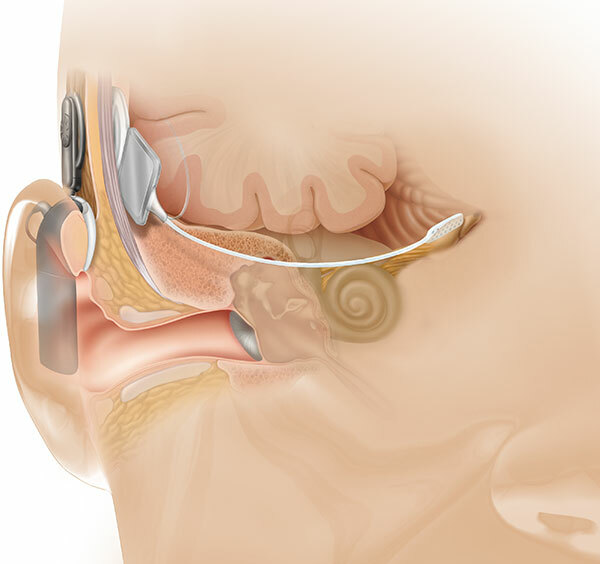 The BC-FMT converts the signals into mechanical vibrations which vibrates the skull and then the inner ear where the vibrations are perceived as sound, according to the patient’s auditory needs.Since the inner ear is directly stimulated the external ear canal is kept free and any barrier of sound transmission in the outer and middle ear bypassed. 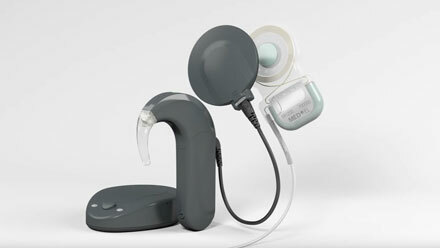 BONEBRIDGE is indicated for patients with conductive and mixed hearing loss as well as single sided deafness (SSD).